You asked and he listened. That is what RJ Cooper does and is, a source that supplies tools for individuals with disabilities when not available on the market. His most recent answer to a need is his BIG Blue-Tooth Keyboard (199.) created to interface via Bluetooth to the iPad. It is interesting that the same question was asked at the OT’s with Apps @ School Workshop held in August, however I don’t believe the keyboard was out at that time. 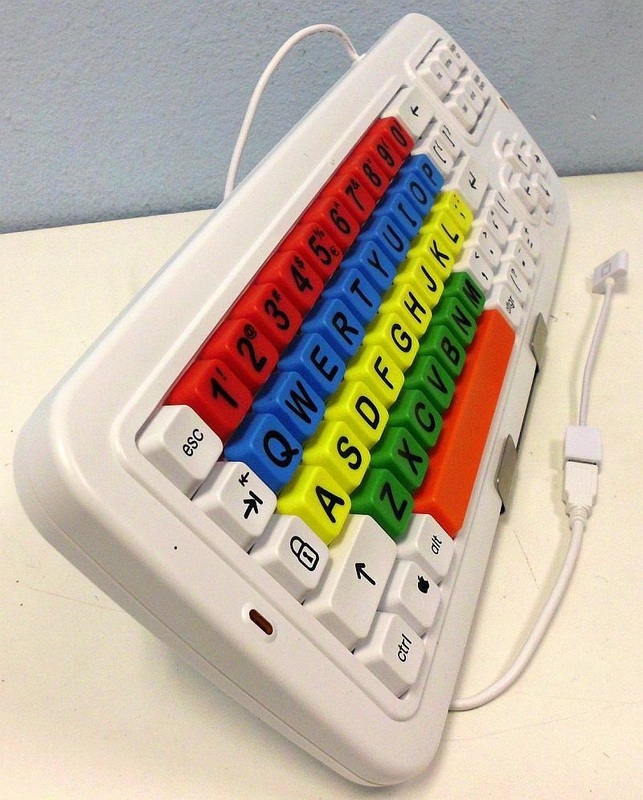 Just yesterday I received an update email from RJ Cooper on his new BIG Blue-Tooth Keyboard. 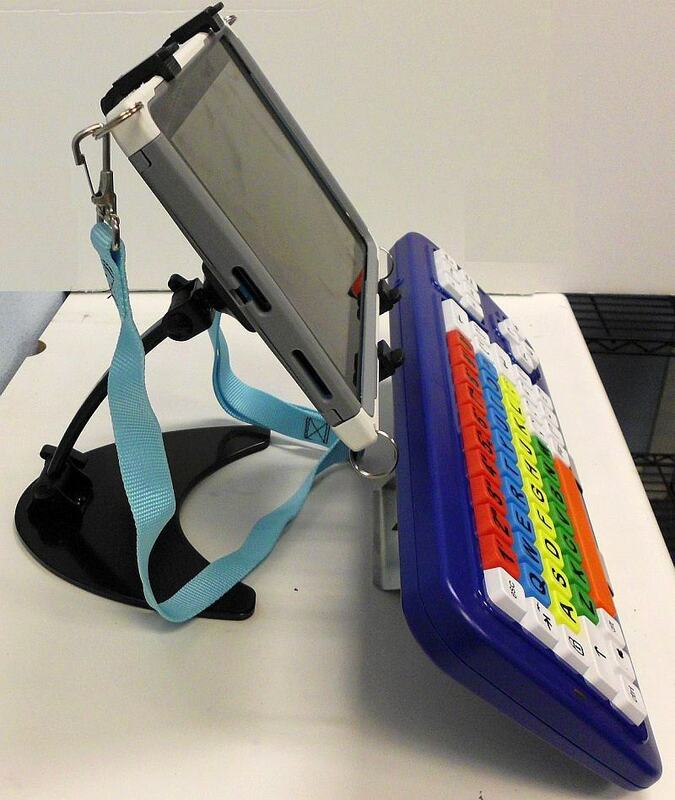 RJ Cooper has an answer for access with his BIG Blue-Tooth Keyboard and additional components for the iPad. More on his stands and other iPad components will be posted in a later post or go to his website to check out his equipment. Thanks to RJ Cooper for his continual support of the needs for individuals with disabilities! Share the news! More for your teaching, accessibility or OT mTool Kit! 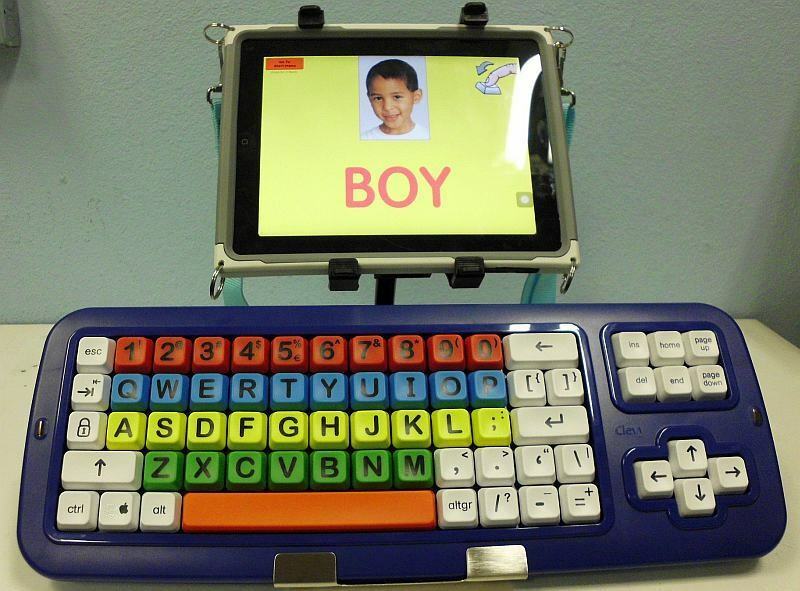 This entry was posted in Accessibility, Accessories, AT for Handwriting, iPad, iPad Management, iPod/iPad Accessory, Keyboard, Keyguards for iPad, Mobile Device Use, Mobility Impairment, Occupational Therapy, Physical Disability Tool, Rehabilitation, Special education, Writing and tagged Accessibility, accessories, iOS accessibility, iPad, iPad accessories, Mobility Impaired, occupational therapy, Writing. Bookmark the permalink.